An argument had started over parking of motorcycles belonging to the delivery boys, said Rohit, the owner of the restaurant in Kalkaji. It was a busy evening and there was a traffic jam outside. "They don't understand how to park their motorcycles. The beat officer intervened and asked them to leave after which the trouble started," said Rohit. The delivery boys then communicated with around 25 others over a WhatsApp group. 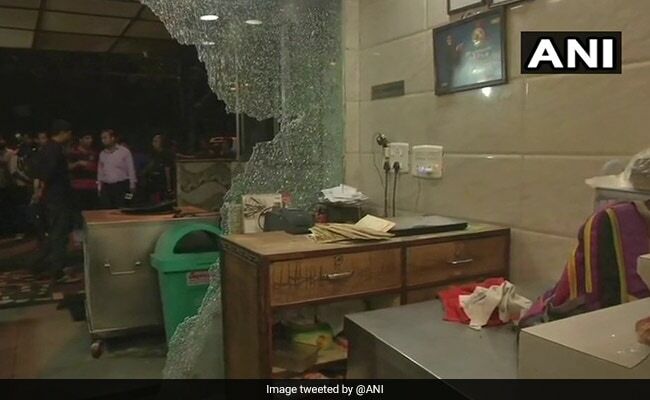 At about 8.30 pm, they came and vandalised the restaurant, reported news agency ANI. As soon as the violence started, Rohit helped the women and children escape through the kitchen door at the back. There were around 30 customers inside the restaurant when the incident took place, say eyewitnesses. A CCTV video of the restaurant shows the men throwing chairs and smashing glass panes. Reports say the delivery boys believed that the restaurant owner was behind it and had called the police to drive them away. A complaint was registered but no one has been caught yet.